V. Maliokas & Associates Ltd provides engineering design and consulting services to a wide spectrum of environmental infrastructure projects. Furthermore, the company supports the Client in the bidding process (tender documents) and during the construction phase of the project (project management consulting services). The firm since 1992 has acquired extensive experience in the design of water distribution, sewerage and stormwater networks, wastewater treatment, flood control, roadway drainage, arrangement of torrents and rivers, irrigation and water resources works (dams, reservoirs, etc). Selection and desing of effective treatment systems based upon environmental and sanitary parameters and project requirements (cost, land availability, etc). Furthermore, wastewater management plans are proposed. 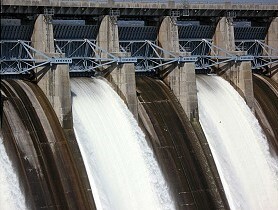 Water resources management and project proposals for the design of hydraulic works. The firm, since 1992, has acquired extensive experience in the solid waste sector by designing sanitary landfills, refuse and residuals sorting centers, biological-mechanical refuse treatment units and restoration of uncontrollable refuse disposal sites. The solution of each project is selected in light of protection of sensitive ecosystems. Furthermore, the firm has prepared studies designating protection zones and highligthing protected areas with mild interventions. These studies are implemented by multidisciplinary project teams depending upon the specific needs and requirements of each project. Client support in the construction phase of the aforementioned fields of services. Innovative infrastructure systems in light of current technology and sustainability.